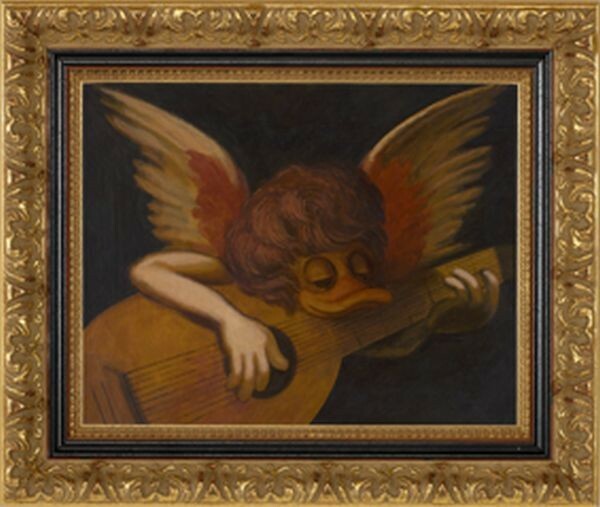 reproduction of "Angel with a lute"
DUCKOMENTA : "Ancient documents suggest that angels loathed images in which they are portrayed blowing wind instruments since said angels appeared with with puffy cheeks therein. Rosso Fiorentino negotiated with this angel for three years until they found an appropriate instrument for him: a lute." 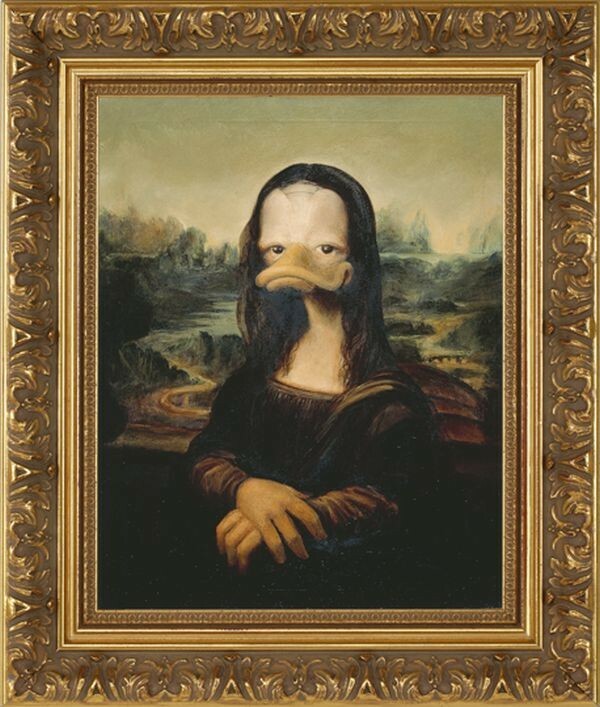 DUCKOMENTA : "No reliable evidence remains as to who was depicted by Leonardo da Vinci in this commissioned painting. This version was never delivered to his client." 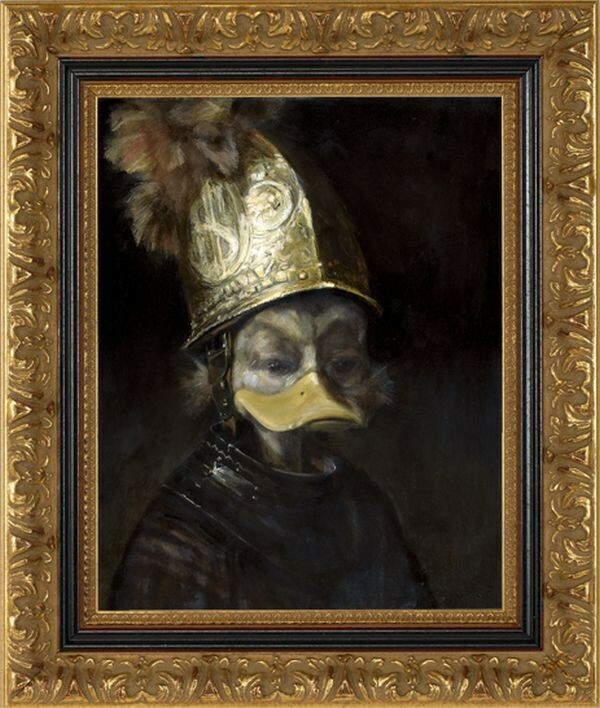 DUCKOMENTA : "No one really knows why Rembrandt discarded this version of the famous painting of a figure wearing a golden helmet. 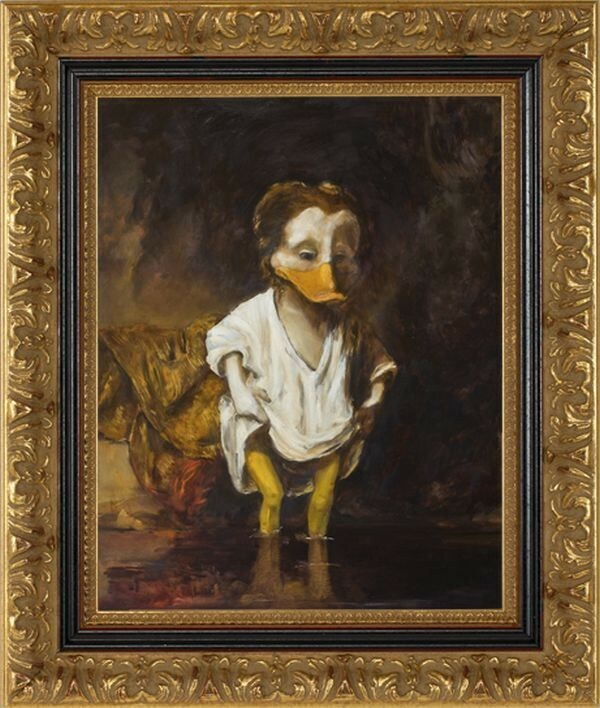 It has helped to sustain the legend of the great painter though..."
DUCKOMENTA : "Fear of water was widespread during the Baroque era. People believed that water spread disease. 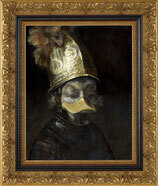 Rembrandt seems to have hinted that ducks believed the same to in this work which was attributed to him." 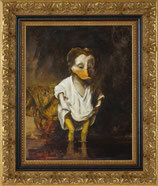 DUCKOMENTA : "Little is known about ducks' family lives. 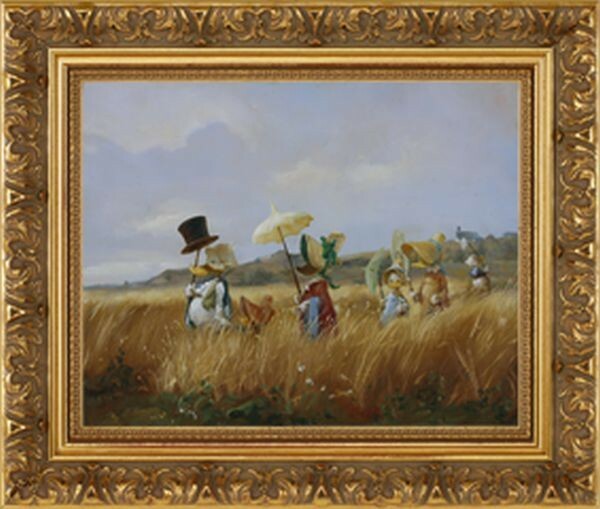 This piece by Carl Spitzmaus offers a glimpse therein: schoolmaster Gottlieb Biedermauser is portrayed leading what is assumed to be his wife and children on a tortuous contemplative stroll in the summer heat." 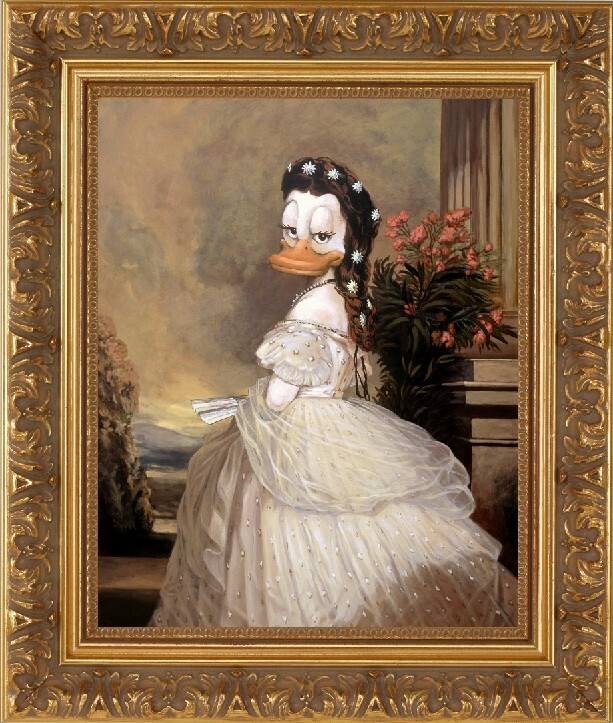 DUCKOMENTA : "According to portrait artist Franz Xaver Winterducker, Empress Elisabeth stood on a chair to make the most of her favourite dress. This motif appeared in several different versions. 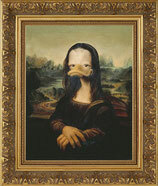 The artist took the secret of which was the authentic portrait with him to the grave." 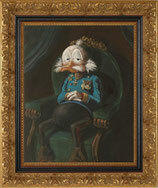 - Emperor Franz Joseph I.
DUCKOMENTA : "When he was young, he often referred to the fairytale Kaiser. Later in life, the responsibilities of governance took their toll. 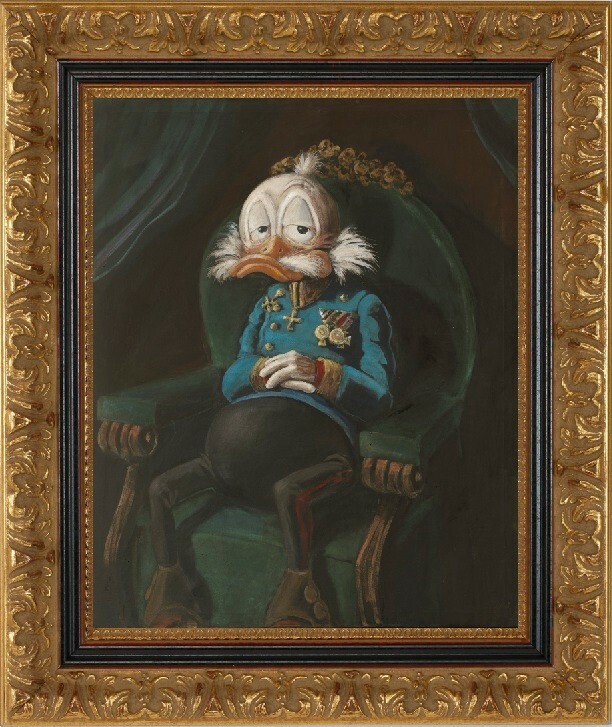 The question remains: how did the busy monarch find time to sit for this portrait?"